Background: Under nutrition continues to be an important public health problem, in spite of several nutrition intervention programs in India. 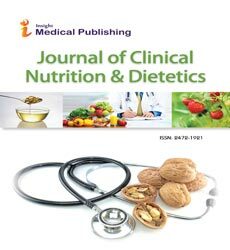 The present study was carried out to know the prevalence of under nutrition among <5 year children. Objective: To assess nutritional status of <5 year children as well as infant & young child feeding (IYCF) practices among young children. Design: A community based cross- sectional study using systematic random sampling procedure. Setting: Surat region of Gujarat. Participants: Mothers and under 5 year children. Main outcome: Prevalence of undernutrition and its predictors. Results: A total of 3133 children (rural: 2600; urban: 533) with mean age 26.2 ± 15.9 months, were covered. The prevalence of underweight, stunting and wasting was 44%, 39% and 22.5% respectively. The prevalence was significantly (p<0.01) higher among rural children (46.7%, 40.3%, & 23.7% respectively) as compared to urban children (32%, 32.5% & 16.4% respectively). The risk of undernutrition was significantly higher among children belonging to ST communities (OR: 1.75, 1.60 & 1.43 respectively) as compared to others, and among children belonging to lower (OR: 1.71, 2.10 & 1.77) and middle (OR: 1.64, 1.83 & 1.41) as compared to high socio-economic groups. The risk of underweight and wasting was 2 times higher among children of illiterate mothers (OR: 1.65 & 1.45 respectively). Among infants, the risk of underweight and stunting was 3 times higher among low birth weight children (<2.5 kg) (OR 2.88 and 2.97), while risk of underweight was 2 times higher among those delivered at home (OR 1.65). Conclusion: The risk of undernutrition was significantly associated with gender, community, household’s wealth and mother’s literacy. Thus there is a need to strengthen the existing nutrition intervention programs along with promotion of maternal nutrition, maternal education, and improving households socio-economic and hygienic conditions along with health care services may improve nutritional status of children.